Pokemon Go is set to take over the world again. Last year, Pokemon Go exploded onto the scene and became a massive hit overnight. People in almost every country downloaded the app and took to the streets to catch 'em all. Now, one year later, in an effort to celebrate the game's first anniversary, Niantic said it plans to hold in-game and in-person events across the world. The first event, called the Solstice Event, will take place in the game on 13 June. It’ll include Fire-type and Ice-type Pokemon, as well as XP bonuses and discounted Lucky Eggs. As for the first in-person event, it is scheduled for 22 July in Grant Park in Chicago, Illinois. 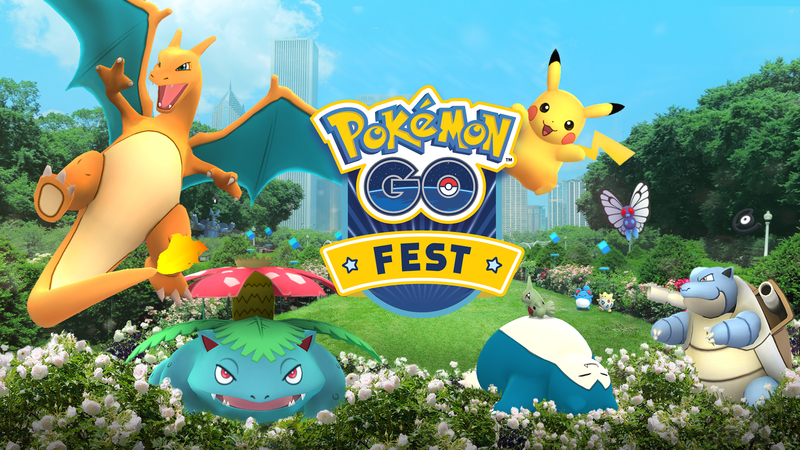 Called Pokemon Go Fest Chicago, tickets for the event will go on sale on 19 June. Pricing and details are not yet available. Niantic said it's targeting about 20,000 people for the huge Pokemon Go fest. There are other events planned for Europe between July and September, too. According to Forbes, the events in Europe cannot be announced yet, as location issues are holding up the process. But the events will be announced across Europe end of June/early July, apparently. There will even be one in Yokohama, Japan in August. That event will be called Pikachu Outbreak, but again, details are scarce right now. Niantic also said it will release an update that focuses on collaborative gameplay. It hinted at a “new way” to play the game, though it also said it would temporarily close down in-game gyms for a bit. It’s rumored the company wants to overhaul gyms to help fight cheating. It might also introduce raids, allowing players to team up or play against one another in the gyms. We'll keep you posted as we learn more.